Homeopathic Effects | A Positive Sign the HGH Product is Working? Some sources list possible side effects of taking human growth hormone therapy and cause confusion because the side effects they speak of have only been seen with hormone replacement therapy with the synthetic HGH injections. Homeopathic human growth hormone is the safest type of HGH therapy available, and FDA registered U.S. made homeopathic products such as ours are very effective. The vast majority of people taking our products are not bothered by homeopathic effects, however, they are possible when beginning any homeopathic therapy. 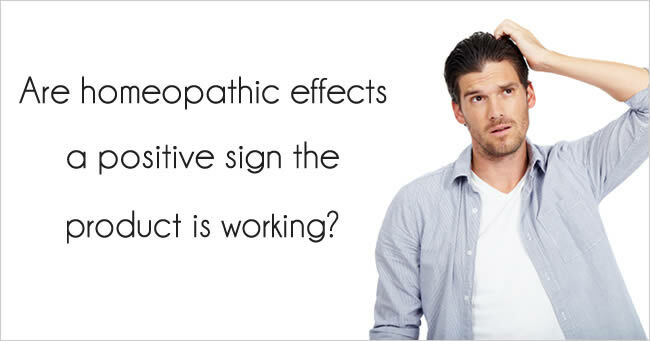 If you do notice homeopathic effects it is usually a positive sign that the product is working. According to Dr. Howard Davis, during the healing process it is possible that the patient may experience overt effects such as headache, stronger heartbeat, upset stomach, joint aches and pains, etc. If these effects are noticed it is recommended to reduce the dose and dilute the spray in water. The dose can be decreased from 2 sprays 3 times a day to only 2 sprays once a day, or every other day, or stop the product for a few days. It is also possible that some may experience aches or pains in areas of previous injuries. According to homeopathic principles, the body may be sending healing energy to an area where energy was previously blocked. This is called "retracing" or "aggravation". If the symptoms are too strong it is again recommended to decrease the dose and dilute it with water, or stop it temporarily. When symptoms are relieved, and the body gets used to the new energy the dose may be slowly increased to the recommended dose. It is also possible to experience slight "detoxification" effects or temporary "tiredness". Therapeutic homeopathic agents encourage the body toward health without artificially suppressing symptoms. If one experiences uncomfortable detoxifying it is recommended to stop or reduce the frequency and dosage until the effects pass (two to three days or longer), drink adequate water, and make sure you are receiving enough nutrients, protein, and calories. Effective human growth hormone therapy can cause the body to use extra energy and nutrients, and so those on certain diets, especially very low carb diets may feel tired because they need more complex carbs, the body's source of energy. When the body retraces or experiences a past health condition or an old injury it is "cleansing" itself of that past condition. This is considered normal and should disappear in a few days or weeks, depending on the person's condition. This is similar to detoxification and should be handled the same. As previously stated, experiencing homeopathic effects is usually a positive sign that the body is responding favorably to the product and the areas involved should be improved shortly. Click for dosage instructions and information about taking our HGH products. 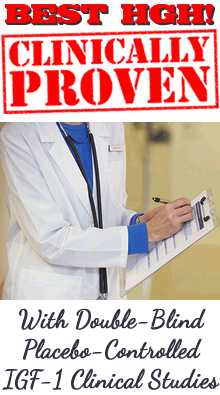 HGH and the Nanogram Scam!